Soft colours meet sporty style in this feminine gym sack. 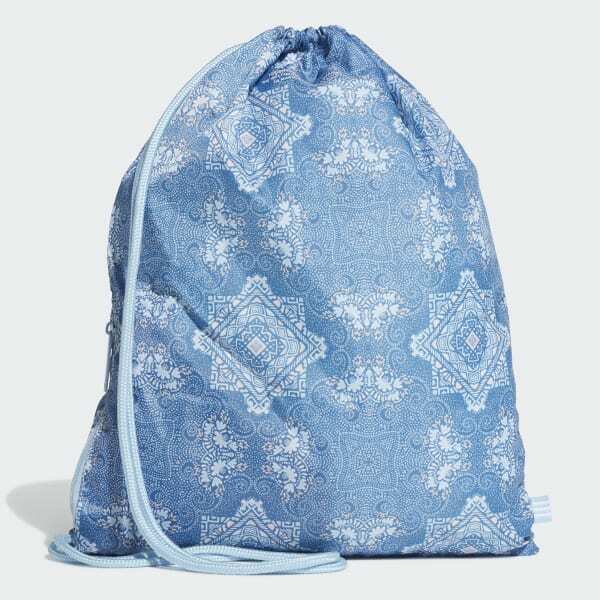 Flowing stylishly between sporty and girly, this feminine gym sack features a soft pastel print. 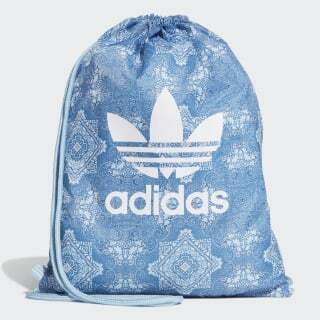 It's detailed with a large Trefoil logo on the front, and solid-colour cinch straps. A small zip pocket in back holds keys and cash.